Ministry of Fear, which comes out today in a new digital restoration from Criterion Collection, was not fondly remembered by its director. Fritz Lang needed to deliver one more feature to Paramount Pictures in order to complete a contract, and the producer-screenwriter of this one, Seton Miller, wouldn't let him have his way with the script as he usually did. After the film was released in October 1944, Lang partnered with actress Joan Bennett and producer Walter Wanger to form an independent production company that would create some of Lang's weirder, more sexually obsessed Hollywood films: (Scarlet Street, The Woman in the Window). 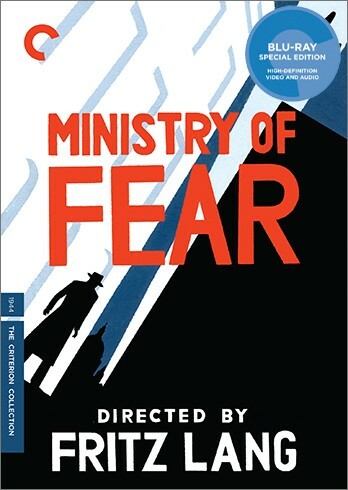 Ministry of Fear may suffer by comparison to those movies: set in wartime London, it operates like a conventional action thriller, with Nazi spies and a microfilm hidden in a cake. But Miller's script, adapted from a Graham Greene novel, is so perplexing that the severity of Lang's imagery takes over; the story seems disconnected to the point of delirium. 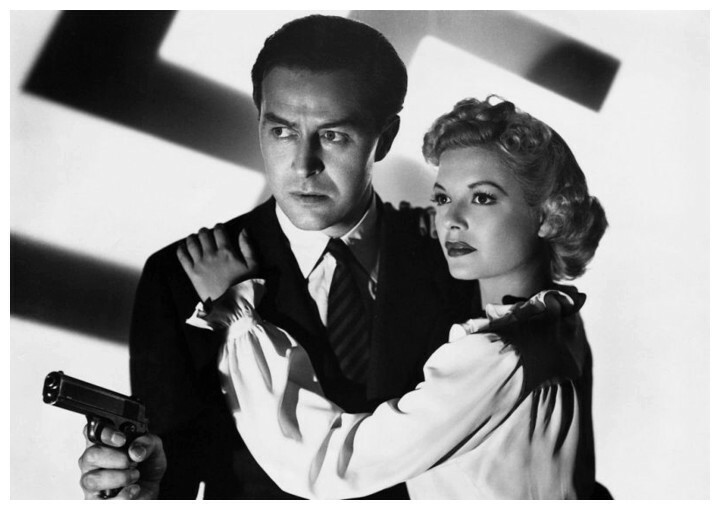 From the first image—the credits roll over a shot of an endlessly swinging clock pendulum—Lang suggests a drama of the mind, and the scene that follows is oddly inverted, its establishing shot moved to the end: after a rather obscure conversation between our hero, Stephen Neale (Ray Milland, a fine and much-overlooked actor), and his doctor, during which we learn that Neale has been hospitalized for two years, he departs and strolls past a wall that reveals it to be an insane asylum. Neale has decided to return from the village of Lembridge to London, declaring that he needs to see people: "After that clock, to see their faces will be a good tonic." With time to kill before his train leaves, he stops off at a village fete, where he wins a cake at a bake sale ("It's made with real eggs," the lady at the booth promises him). Only later, after he's boarded the train and been beaten senseless by an old man who was pretending to be blind, does Neale realize there was something in the cake. I don't think I can explain exactly how Neale winds up in a seance. Something about a private investigator, an international philanthropic group called the Mothers of the Free Nations, and a mystic who was working a circus tent at the village fete. Suspiciously, a well-dressed man who confronted Neale at the fete (the wonderfully oily Dan Duryea, who would return with comparable malevolence in Scarlet Street) reappears at the seance but claims not to remember him. The ceremony harks back to Lang's silent classics with its lit faces floating disembodied in the inky black. The darkness is lit by a flash of gunfire, and the lights go up on the shocked participants. Lying dead is the well-dressed man. But why, before the shot was fired, did a whispering voice accuse Neale of murder? Neale turns out to be a rather murky hero, much like James Stewart in Vertigo, yet the rest of the story is so complicated you never get quite enough time to think him over. There's the private investigator Neale hires to get to the bottom of the case, who disappears and whose office is trashed. 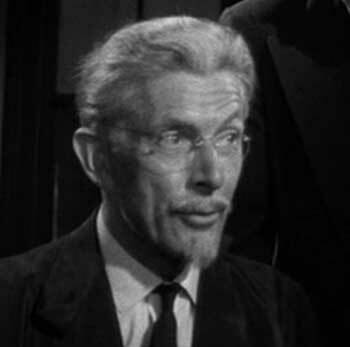 There are a pair of ill-defined do-gooders at the Mothers of the Free Nations (Carl Esmond and Marjorie Reynolds, the latter of whom serves as the love interest), and the starchy Dr. Forrester (Alan Napier, the butler on the old Batman TV series), who consults with the ministry of defense and has written a book called The Psychoanalysis of Nazidom. This narrative fogginess actually makes Ministry of Fear a lot creepier, because nearly everyone seems to be in on the plot in some way, even the kindly old lady at the fair who gave Neale the cake. After the action has climaxed and the mystery has been not-so-neatly resolved, there's a shot of Milland and Reynolds driving along the coast, discussing their wedding plans, and she suggests a big cake. "Cake?" he replies in horror. It's a terrible gag; more in keeping with the film would have been for her to push him from the car to his death. J.R. Jones writes about recent DVD releases on Tuesdays.